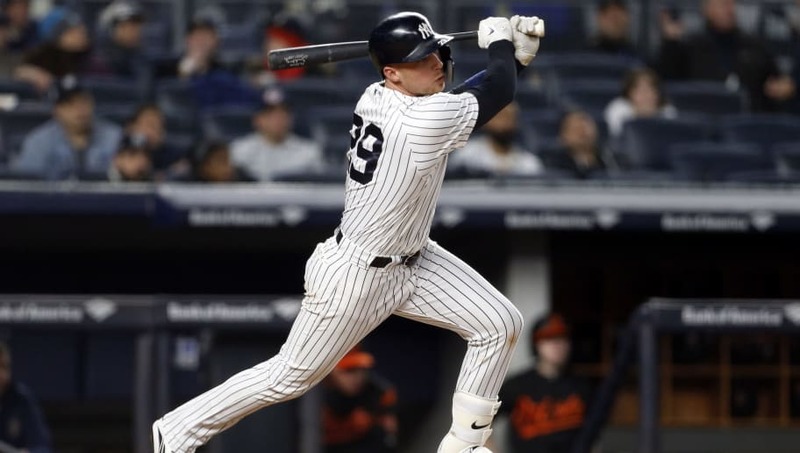 Good morning Yankees family and welcome back to the blog. We took a little bit of a long weekend there, not by choice but by my job’s choice, but we are back and ready to keep marching on towards the postseason. It probably isn’t a bad thing that we took the weekend off, watching that Rays series was painful. It hurts watching the team lose and certain players struggle when there are obviously much better options down in Triple-A that are hungry and ready to contribute. Baseball is a game, yes, but it is also a business and sometimes with business all that matters are the dollars and the cents of the game. Enter the Yankees newest tool to remain on top, team control manipulation. It happens every year, teams keep their top prospects in the Minor Leagues to start the season for a couple weeks, maybe as long as a month, to delay their free agency by another season due to team control rules set forth in the collective bargaining agreement. Well, the New York Yankees are taking that one step further here in 2018 after leaving Gleyber Torres down on the farm long enough to keep him under their thumb for at least another season. The team is also doing it with Brandon Drury, Tyler Wade, Clint Frazier, Tommy Kahnle, Ronald Torreyes and others. All five of these men could see their free agency pushed back a season if they remain in the minor leagues, most notably Drury who has right at two weeks left of MiLB service time before the Yankees buy themselves another season of control. One more year of team control would not be enough for you and me. I want forever. I love you.